Subject Knowledge Enhancement (SKE) courses, when required, are designed for initial teacher training (ITT) applicants to gain the depth of knowledge needed to train to teach their chosen subject. SKE course length may vary between 8-28 weeks. Course attendance and length is determined at interview by a member of academic staff in your chosen subject pathway. Successful completion of your SKE course will form part of the conditions of entry to your PGCE programme. Department for Education’s Subject Knowledge Enhancement (SKE) Guide. We would like you to outline any previous experience of teaching or observing teaching and the key aspects you learnt from this. Please note that previous school experience is not a requirement or a condition of entry to the programme. Download the previous school experience form to complete. You will be asked to prepare a five minute presentation prior to interview, ready to present them to staff and other applicants on the day. These should be informal presentations but you should be prepared to answer questions on your chosen topic from the tutor and other applicants. Prepare a five minute presentation on an artist of your choice. Their artwork can vary from any form of 2D or 3D work, video or performance etc. It is your choice. You are asked to present your ideas about her/his work in the form of a talk using any materials, other than PowerPoint, you think appropriate. Also, please bring along your own portfolio. Prepare a five minute presentation which identifies a practitioner whose work you find interesting and explain how you would incorporate this into your classroom practice. You are asked to present your ideas about her/his work using any materials, PowerPoint or practical exercises you think appropriate. Choose and explain the educational potential of a piece of teenage fiction. This will be a five minute presentation and there will be non-specialists in the panel. You are asked to present your ideas about the piece using any materials, PowerPoint or practical exercises you think appropriate. Prepare a five minute presentation on a fieldwork experience you have had anywhere in the world. You should include what the fieldwork involved and suggest how this fieldwork could support geography teaching in school. Prepare a five minute presentation on an enrichment activity involving mathematics in which you have participated, either whilst at school or during your time in Higher Education. You should include what the enrichment activity involved and suggest how this activity could support mathematics teaching in school. Prepare a five minute presentation about a practical activity that you might use in the classroom to achieve a musical outcome. You are encouraged to use your own performing skills but will need to bring your own instruments if required as interviews will take place in non-specialist rooms. You should be clear about what your pupils would learn and how the activity’s practical nature is relevant to that learning. You should specify which year the activity is designed for and reference should be made to assumed prior experience. The most recent National Curriculum for Music should also be referred to. Prepare a five minute presentation on your favourite scientist. Your choice may be a contemporary or a historical figure; one of a significant research group or a lone researcher. You are asked to present your ideas about her/his work in the form of a talk using any materials, other than PowerPoint, you think is appropriate. What if I do not have a degree in my chosen subject pathway that I wish to teach? The interview will assess your subject knowledge. You will be advised if successful completion of a Subject Knowledge Enhancement course is appropriate. Further details are available via https://getintoteaching.education.gov.uk/explore-my-options/teacher-training-routes/subject-knowledge-enhancement-ske-courses. Currently transport and a proportion of living costs are reimbursed but this cannot be guaranteed. 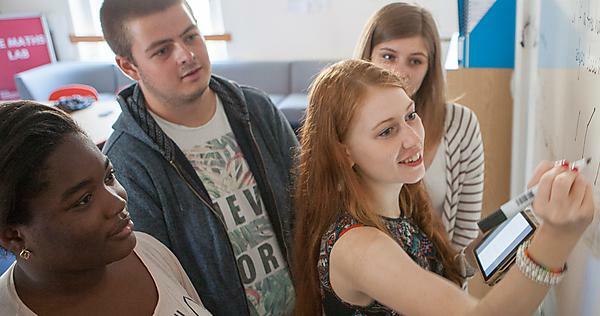 Currently PGCE students are entitled to apply for a student loan/grant in the same way as you would for a first degree to cover student fees and living costs while on the course. Further information regarding our tuition fees and bursaries, including contact details for our Student Funding Unit, is available via www.plymouth.ac.uk/money. Information about how to apply for government help with paying your fees is available via www.gov.uk/studentfinance. Government bursary information is available via https://getintoteaching.education.gov.uk/funding-my-teacher-training/bursaries-and-scholarships-for-teacher-training. Congratulations on being invited to interview for one of our PGCE Secondary programmes. On this page we have provided information regarding the format of the day and tasks we would like you to complete in advance. It is vital that you are prepared and are able to talk about these tasks when you meet us. You should be aware of National Curriculum requirements and developments in the GCSE and A level Specifications in your chosen subject area. Details of the relevant Secondary National Curriculum can be found at the GOV.UK website. You may like to arrange visits to local schools before interview, so that you can discuss your observations of teaching and learning. This is not a requirement. During your interview day you will be asked to complete a placement registration form. This is not part of the interview decision but gives applicants the opportunity to outline specific circumstances which may affect their school placements whilst on the programme. 16.00 – approximate finish time depending on number of interviews taking place on the day.